Orcas have been given a name of Killer whales, but this is a translation mistake. Spanish fishermen called them asesino ballenas, which means killer of whales, but not killer whale. Nevertheless, killer whale sounds right, so whale killers became killer whales. 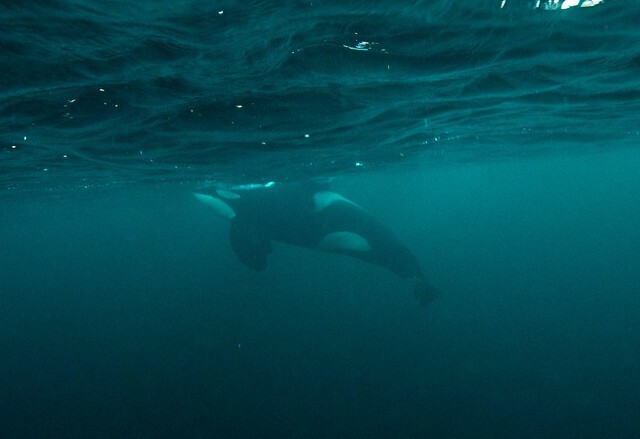 As we know, Norwegian resident orcas feed mostly on herring, not killing any whales, so we could better call them herring killers, or, if you want, even killer herrings.